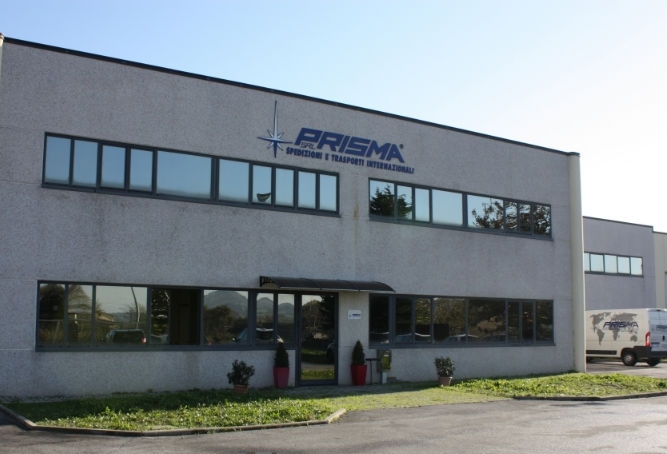 PRISMA S.R.L was founded in 1985 (originally as Raule Marche), by a group of associates with a solid experience in the international shipping business. The company is situated in central Italy, in one of the highest Exportation Area of the Centre Italy. At the beginning, the main business was shipping shoes produced into the area, by truck toward European countries such Germany, France and Belgium. Time passes by and PRISMA adapted and changed it’s status, but mostly the company grew in the truck/by land international shipping, expanding old services and adding new ones. Today the company serves almost all EU countries with regular departures and express services toward Italy and Europe too. Additionally, Transport By sea to and from north Africa as well as air freight service toward Far East, are part of our services. Warehouse space has increased from 500 m² to 3000 m². The goods being shipped, are not just shoes anymore, but different kinds of Italian products from and to Italy. Capability of adapting structure and services to changing necessities of the Client, this is what PRISMA has invested on, and is investing in. The constant and rapid changes, forced our company to constant adaptation to offer better services at the best conditions. Availability, competence, and professionalism will be the answer of PRISMA.